Roni Modimola. Book Comedian Roni Modimola. Roni Modimola is one of South Africa’s fastest rising superstars in the comedy field. Roni Modimola is a regular at major comedy venues across the country. Because of Roni Modimola’s vast variety of comedy he is perfectly suited for any type of function including corporate, birthday parties, clubs and many more. 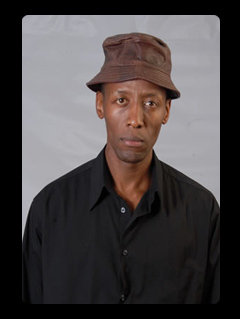 Roni Modimola regularly makes appearances on TV shows such as “Phat Joe Live” and “Comedy Showcase”. Roni Modimola also featured on one of Darren “Whackhead” Simpson’s pranks. Roni Modimola can charm any audience with his wit. Roni Modimola’s fits perfectly into the South African market of comedy with such a huge variety of different people. You can rely on Roni Modimola to make your event a hysterical success.